It’s time to take a break from the high action duels and take a moment to spend some time with our girls in their home life. 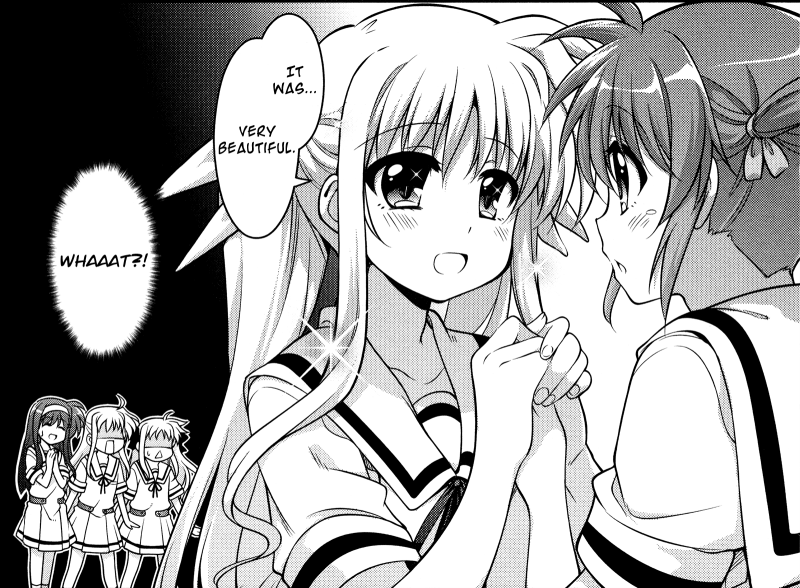 Hearts will be warmed in this relaxed and loving installment of Nanoha Innocent. Download links can be found here and here. YuriHouse and ViVid Translations continue collaborating on this highly anticipated project. This entry was posted in Nanoha Innocent and tagged mahou shoujo lyrical nanoha innocent. Bookmark the permalink. pg 11, “Pretty amazing for it being hobby and having a dojo”. I think the sentence should be “being a hobby”. 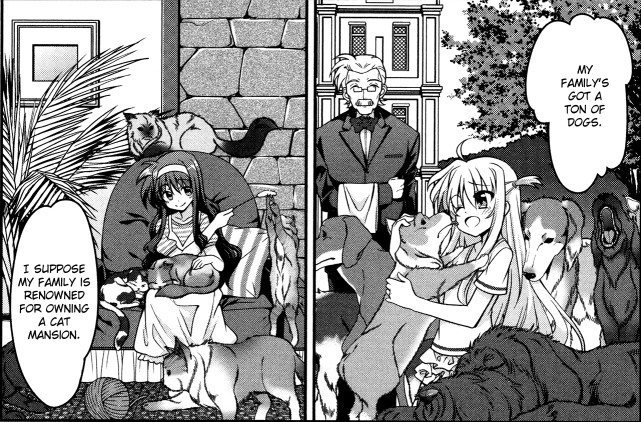 In my fantasy world, Miyuki-Kyouya-Fiasse from TriangleHeart3 somehow has passed the baton to Alicia-Nanoha-Fate in this series..